The Frank LomBiondo Coast Guard Authorization Act of 2018 was signed by President Trump back on 4 December 2018 per Issue 92/Spring 2019 of the U.S. Coast Guard Boating Safety Circular. The bill appropriates money for Coast Guard expenses in Fiscal Year 2019, as well as includes a few specific regulations. 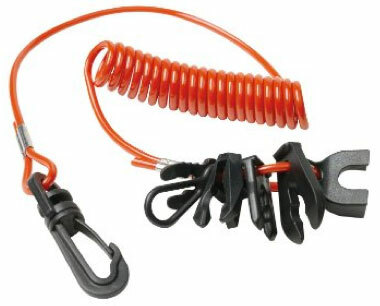 The kill switch used is to comply ABYC standards. The regulation will apply to recreational boats under 26 feet with 115 pounds or more of thrust. The law is to take effect 4 December 2019 and will require manufacturers to install kill switches in all boats meeting the criteria manufactured after December 2019. We commend USCG for finally getting this requirement into the registrations. The rule is a really big thing and has been a long time coming. As seen in our History of Lanyard Kill Switches post, USCG was evaluating requiring kill switches in boats back in the mid 1970’s along with evaluating mandatory wear (mandatory use of them). 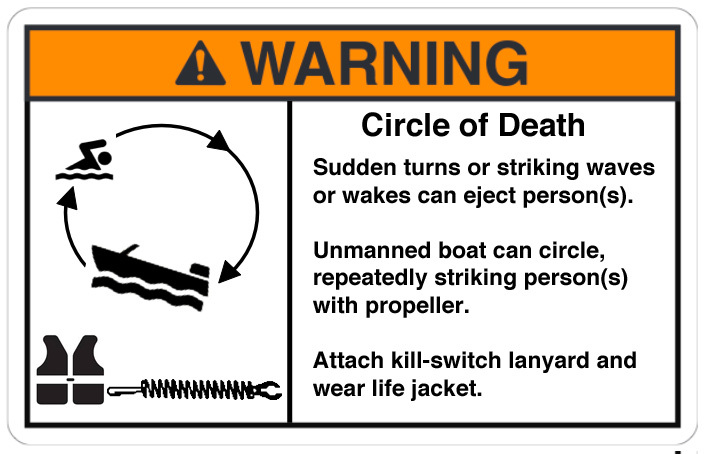 Marion Irving deCruz, long time boat propeller safety advocate and others at SPIN (Stop Propeller Injuries Now) spent thousands of hours promoting regulatory efforts requiring the installation and use of kill switches. Back in April 2006 U.S. Coast Guard’s National Boating Safety Advisory Council (NBSAC) passed resolutions requiring mandatory installation and mandatory wear of kill switches. Five years later in June 2011, USCG published an Advanced Notice of Proposed RuleMaking based on NBSAC’s request. Years later, NBSAC requests to the status of the proposed regulations kept being told it was being held up “somewhere”. NBSAC was told all Coast Guard boating regulatory efforts had ceased because it took 17 years to get one passed in the current political environment. Now abut 40 years after the initial USCG investigation, we have a rule requiring mandatory installation of kill switches (engine cut-off switches) starting next year. 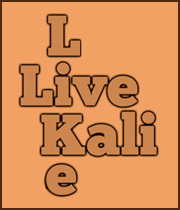 A major effort in Texas is currently promoting mandatory wear, That law is named Kali’s Law, named after Kali Gorzell.